Since I’ve Ditched the Diet, it varies from day to day, but one thing always stays the same… my daily dose of fabulous Chia Pudding! I eat Chia Pudding every.single.day for my breakfast and I never tire of it’s smooth, creamy, nutritionally dense and oh so filling goodness! 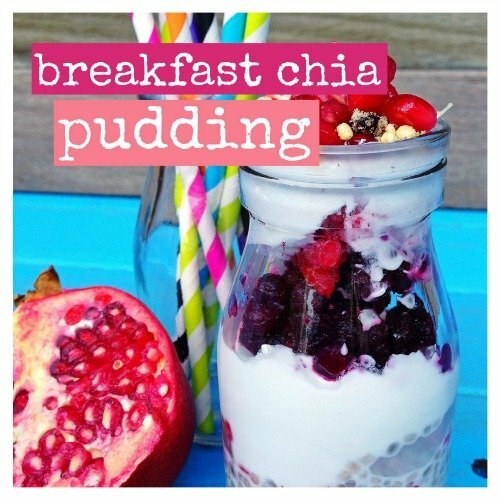 So in the spirit of all things glorious, here is my fantabulous (and ridiculously simple) recipe for Breakfast Chia Pudding. Mix chia seeds, coconut milk and honey together in a small container, bowl or glass mason jar and allow to soak in the fridge overnight. In the morning, layer with fresh berries, coconut yoghurt, gluten free muesli, toasted nuts, shredded coconut and ENJOY! 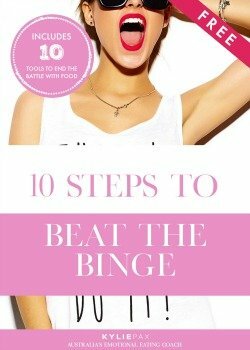 Have you Ditched the Diet yet? Want to shoot straight to the top of the Christmas Card list? Go ahead and share this recipe with your friends, they’ll loooove you for it! Now, keep scrolling and then join the conversation below… What’s your biggest challenge in overcoming emotional eating? Here’s to Ditching the Diet! Join Thousands of Sisters And Get Exclusive Tips Sent Direct From Me To You. Show Me How (Like NOW)!